Yesterday, I picked up a new antibiotic prescription for my daughter from my local pharmacy. Before putting her to sleep, I got the new medication out of the bag, glanced at the instructions, and prepared to give her the drug according to the instructions on the label. Just before doing so, I had a quick double-take. Something seemed to be wrong. I looked at the instructions again, and thought to myself slowly, “What’s going on…this doesn’t seem right.” Then, it hit me that the dose seemed awfully high for her. It took me a minute or two to put the pieces together (it had been an unusually tough fight getting her ready for bed, I was tired, I was confident in my daughter’s physician, and I was thinking perhaps less critically that I should have). And then I noticed it. The label had a stranger’s name on it. After another moment or two, I saw what had really happened. The medication came in a box. Each side of the box had a different label…one label was for my daughter and one label was for a stranger. And, the stranger’s dose was more than double what my daughter’s surgeon had recommended. I’m not a surgeon…and I’m not a pediatrician…but I am a physician trained in internal medicine and I have spent most of the last twelve years writing about, speaking about, and developing systems to reduce the frequency of medication error and improve the safety of pharmacy practice. This pharmacy error brought the topic of drug safety home to me…literally. What I can tell you is that this sort of error occurs all too often in the United States (and around the world). And, that it can have devastating consequences for the people involved. A recent study in the New England Journal of Medicine indicated that 25% of patients who take one or more prescription medications will experience an adverse drug event within three months-and 39% of these are preventable or avoidable. The Harvard Medical Practice Study found reported in JAMA in 2001 that 30% of patients with drug-related injuries died or were disabled for more than 6 months. And, what almost everyone who studies this problem agrees is that current systems for selecting drugs, dosing them, communicating a prescription to a pharmacy, dispensing drugs, and instructing patients on their safe use are woefully inadequate. In this series, we are going to take a close look at the processes that cause medication errors (some things that your physician and pharmacist may not even want you to know) and what steps you can specifically take to make sure that you and your love ones are protected from this hazard. Ten years ago, your ability to get current, objective, reliable information on your medications in a quick and easy way was practically non-existent. It probably would have involved a trip to the library and required considerable knowledge about pharmacology to get the answers. Today, that’s not the case. There is a host of on-line tools, databases, and resources that allow you to learn information about medications that even your physician and pharmacist may not know. We’re going to talk about them, show you were to go, tell you the key things you need to know about medications, expose some myths, and let you know the questions you should be asking. It’s not as hard as it may seem. In fact, you need to become the final line of defense in the battle against medication errors. Throughout, we are going to give you some key rules that should guide your defense. · the name of the patient on the bottle; · the name of the doctor on the bottle; · the name of the medication (and cross check it to be sure that it treats a disease or problem you actually have… there are lots of look-alike/sound-alike drug names out there); · the dose (from an independent source…to make sure that it is a plausible dose for you); · the “route” (to make sure, for example, that eye drops are being prescribed for the eye, and not the mouth, or the ear…amazingly injuries from drug misplacement occur all the time); · the expiration date. We’ll talk about some specific resources that will help with each of these throughout this series. · right drug; · right patient; · right dose; · right time; · right route; · right reason; · right documentation. Timothy McNamara, MD, MPH is a nationally prominent expert in medication safety and healthcare technology. Previous Get out of that Beauty Rut! Quick list of contact lenses care you may have forgotten. 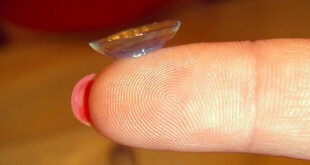 Never mix contact lenses with water. Water contains bacteria. You need to disinfect your bread board as well as countertops that meat has touch. Clean first then mix a solution one part bleach to ten parts water. Let sit for 10 minutes then rinse well and dry.